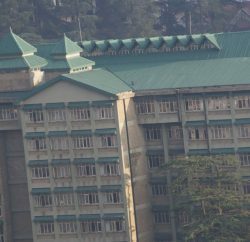 Shimla: The State government would submit an interim policy to the High Court to provide relief to the small and marginal farmers and poor sections of the society who have encroached on the government land. Revenue Minister Kaul Singh Thakur, in the third meeting of the High Powered Committee on encroachments on government land constituted by the state government under his chairmanship, today, said the matter would also be examined against the provisions of the Forest Rights Act so that bonafide forest dwellers could be identified and their rights determined. Thakur said the State government was not in the favour of encroachments, however, it intends to give relief to those small and marginal farmers and poor people who constructed houses on government land or occupied it due to some compulsion. The State Vidhan Sabha had passed a resolution to consider regularisation of their encroachments on humanitarian grounds, but as the High Court had passed various orders to evacuate the illegal possessions on government land, the government would soon submit a policy before the Court within the parameters of the law in order to provide and relief to the small and marginal farmers of the State. 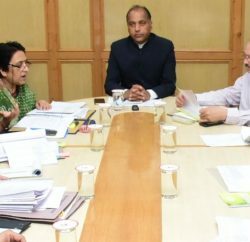 Kaul Singh directed that draft policy and appropriate scheme should be submitted for the consideration of the Committee members in the next meeting scheduled for 7 February, 2017. He, however, reiterated the government’s commitment to uphold the law and deal with big and influential encroachers strictly. 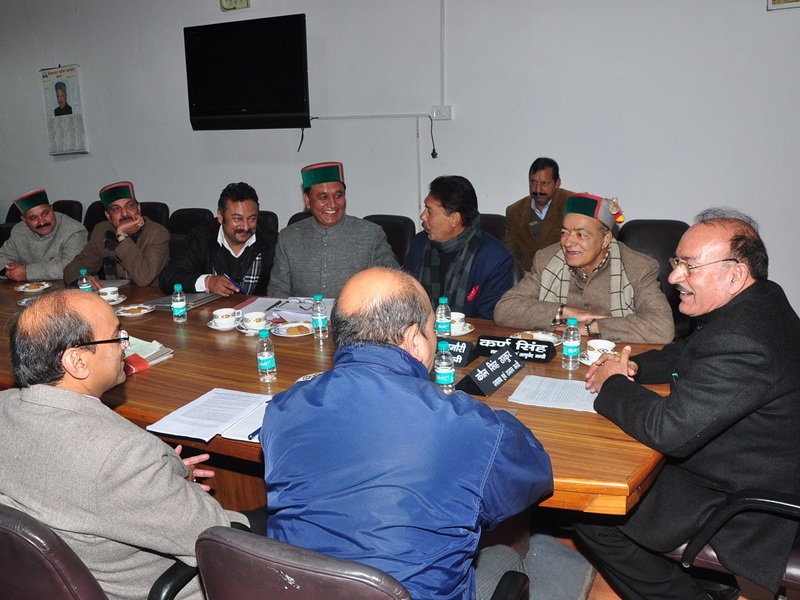 The members of the High Powered Committee Forest Minister Thakur Singh Bharmauri, Ayurveda Minister Karan Singh, Deputy Speaker Jagat Singh Negi, Chief Parliamentary Secretaries Rohit Thakur and Nand Lal, MLA Mohan Lal Brakta, Additional Chief Secretary Tarun Shridhar, Principal Secretary R.D Dhiman, Secretary Mohan Chauhan, Secretary, Law Dr. Baldev Singh and other senior officers of various departments were present in the meeting.